SADC has completed the review process for the Regional Indicative Strategic Development Plan (RISDP) and the draft revised document is expected to be presented to the Council of Ministers during the 34th Ordinary Summit in Zimbabwe. The RISDP is a 15-year plan approved by SADC Member States in 2003 as a blueprint for regional integration and development, and the review aims at enabling SADC to realise its integration and development agenda by realigning the region’s development plans with emerging global dynamics and refocusing on a few critical and realistic interventions. The RISDP was developed following a decision by the SADC Summit of Heads of State and Government in 1999, in Maputo, Mozambique to streamline and rationalise the SADC Programme of Action with a view to increasing the effectiveness and efficiency of the SADC Common Agenda in achieving its overarching goals of achieving sustainable development and reducing poverty. Crosscutting issues, including gender and development; HIV and AIDS; science and technology; sustainable environment; private sector; and statistics. 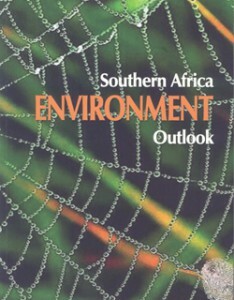 In 2007, following the realisation that the RISDP priorities were in excess of Member States’ capacity to fund regional cooperation and integration programmes, translating in an escalating SADC Secretariat budget, the Council of Ministers approved a re-prioritisation of SADC programmes and a framework for re-allocation of resources to comply with Summit decision on the review of SADC operations and institutions aimed at improving efficiency and increasing effectiveness. Special programmes of regional dimension, encompassing education and human resource development; health, HIV and AIDS and other communicable diseases; food security and transboundary natural resources; statistics; gender equality; science, technology and innovation; and research and development. 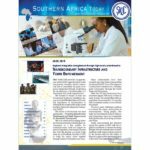 The desk assessment analysed SADC’s performance and identified the challenges encountered as well as the lessons learnt during implementation of the RISDP from 2005 to2010. The assessment formed the basis for an independent mid-term review between 2012and 2013. In August 2013, the Council of Ministers directed the SADC Secretariat to work with Member States in setting up a multi-stakeholder task force with the responsibility to finalize the process of review of the RISDP. The task force had a series of meetings in 2014 to propose new priorities; main focal areas; milestones; outputs; targets and timeframes for the remainder of the implementation period. It also met to propose strategies for implementation of the RISDP; recommend any other strategies and implementation frameworks that may enhance its implementation, including an appropriate institutional and legal framework; and a sustainable resource mechanism, as well as a monitoring and evaluation mechanism for the remaining period of its implementation. The result of this work is the proposed Revised RISDP (2015-2020) which has been reviewed by Member States as well as through sector and ministerial cluster meetings. The final document is expected to be presented to the Council of Ministers in August for approval. 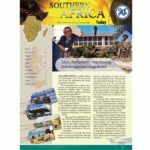 The task force recognized that the SADC vision, principles, goals, objectives, and the Common Agenda – as enshrined in the Treaty and re-stated in the RISDP – have not changed. It recognized that SADC countries remained committed to integration aimed at achieving poverty eradication and sustainable development. It took into account the experiences and lessons learnt as well as new developments that have occurred since 2007 when the Council of Ministers reprioritized the regional priorities at a meeting in Lusaka. The rationale for the reprioritization at the time was to sharpen the focus of the RISDP implementation and to establish a framework so as to allocate resources for greater impact. It is estimated that implementation rates between 2005 and 2010 in terms of reaching stipulated targets range from 65 percent for Trade/Economic Liberalisation and Development; 64 percent for Food Security and Environment; and 60 percent for Infrastructure Support for Regional Integration and Poverty Eradication. Other sectors which operate in areas where results can only become clearly visible over longer periods of time, have a greater percentages of partial achievements, such as Social and Human Development and Special Programmes with 38 percent achieved and 46 percent of partially achieved targets; or crosscutting issues with 14 percent achieved and 68 percent partially achieved targets. 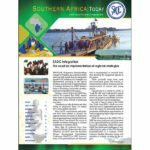 Some remarkable achievements made in trade, industry and finance have contributed to the region’s integration process although the implementation of the SADC Free Trade Area Protocol is still limited and there have been cases of Member States reversing their commitment to comply with the requirements of the FTA. One of the main challenges faced in this particularly area, but also across the range of areas covered by the RISDP, often relates to the lack of capacity to effectively monitor the implementation of agreed protocols to ensure compliance to commitments. As a result and because of time lags and resource deficiencies, some of the original targets of the RISDP are not considered in the revised RISDP. For example, the Customs Union has been deferred for the remaining period of the RISDP and more realistic targeted outputs will be implemented to facilitate the eventual establishment of the CU, as well as other steps targeting regional integration. Infrastructure development remains a leading priority, with considerable preparatory work having been done to develop enabling policies, systems and processes that will greatly facilitate project preparation as well as help to attract private sector investments and further promote public-private partnerships. Food security and the reduction of vulnerability will also be a priority and are dependent on sound agricultural policies and practices as well as on the accessibility of food in terms of availability and its price. The sustainable use and preservation of the environment and natural resources are therefore critical as is the need to take into account climate change in the formulation of agricultural and food security programmes. Progress has also been made in areas related to social and human development and the revised RISDP recognizes that the development of the region can only occur if the workforce is healthy and able to operate at a level that makes progress possible, and if decision-makers and leaders in the public and private sectors, are knowledgeable. While efforts have been made in gender mainstreaming at the level of policies, the revised blueprint recognizes that there is still much to be done to see these policies translated into action. Emerging issues that provide new opportunities for economic and social development have also been taken into account in this plan.